Our people are the heart and soul of J & J Air Conditioning. We offer our employees unparalleled opportunities for training, advancement, and growth within a supportive and open work environment that acknowledges and rewards excellence. Although we have grown well beyond our original kitchen table office and two employees, we will never outgrow our core values of treating people with dignity, respect, and fairness. Our people are encouraged to make their own decisions and judgments and are not penalized for mistakes. Our staff members are very carefully chosen. We look for well-rounded, high-quality individuals who have a sense of pride and mission. Equally important, all of our employees must have a warm, engaging personality and be able to communicate and bond well with customers and co-workers alike. We structure our work environment to minimize barriers, unnecessary procedures, and multiple layers of management with a constant goal of operating as close to our customers as possible. We are steadfastly committed to sound financial and business practices to assure our people of a long, rewarding career with generous retirement benefits. 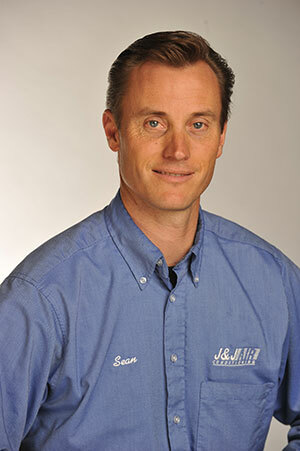 If you were asked by a family member or friend why you work at J & J Air Conditions, what would you say? What interaction with your manager or fellow employee that stands out in your memory that confirms that J & J Air Conditioning is a good place to work? Are there any activities within J & J Air Conditioning that you enjoy and would like to comment on? I enjoy the family picnic and go-cart racing. The family picnics are a must to attend every year. Any other comments or stories that you'd like to share? I appreciate that any safety issue at all, whether for the job or with my service van, the cost is never an issue. They are willing to give you a break so you can show your potential. J & J Air Conditioning provides comprehensive HVAC services to commercial and industrial clients. We utilize evolving technology to find new and innovative ways to serve our customers. Copyright © 2018, J & J Air Conditioning.